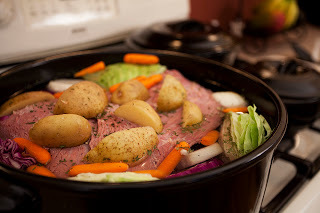 Home / Blog / What’s new with Xtrema Cookware? What’s new with Xtrema Cookware? Can you believe it’s already the fall of 2012? The holidays are coming fast and Xtrema Cookware is ready. Have you seen the new Xtrema Healthy Cookware Online Store? That’s right, we have an entire new healthy look not to mention over 8 exciting new products like the 11″ Wok with Cover, 12″ Skillet and the largest ceramic pot ever, the 10 Qt Dutch Oven. Check out a few of our new products right here and let us know what you think. Oh, and don’t hesitate to share this with your friends. Plus enter Coupon Code xfan10 to receive an additional 10% off your order! 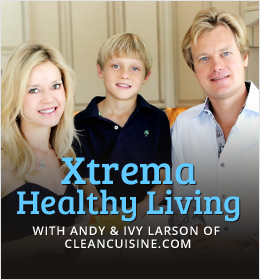 We also introduced our Xtrema Healthy Living Page which features our friends Ivy and Any from Clean Cuisine. This page is packed full of healthy living tips, recipes and will soon have fitness tips as well. 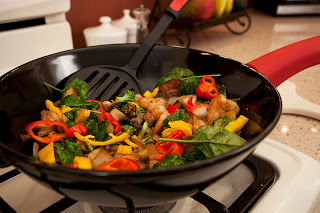 Take a look today and find a clean eating recipe to cook up in your Xtrema Cookware for dinner. Make sure you follow us right here and on Xtrema’s Facebook, Pinterest and Twitter pages to say updated on promotions, recipes, new products and healthy living news. Enjoy your week and thank you for stopping by The Xtrema Cook.